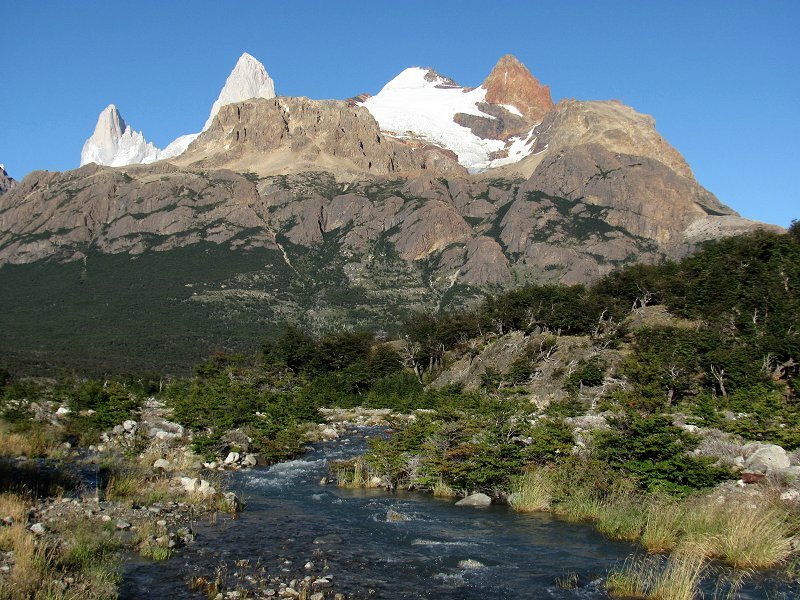 Top off the day with a fine meal at Ruca Mahuida, which may be the best restaurant in El Chalten. 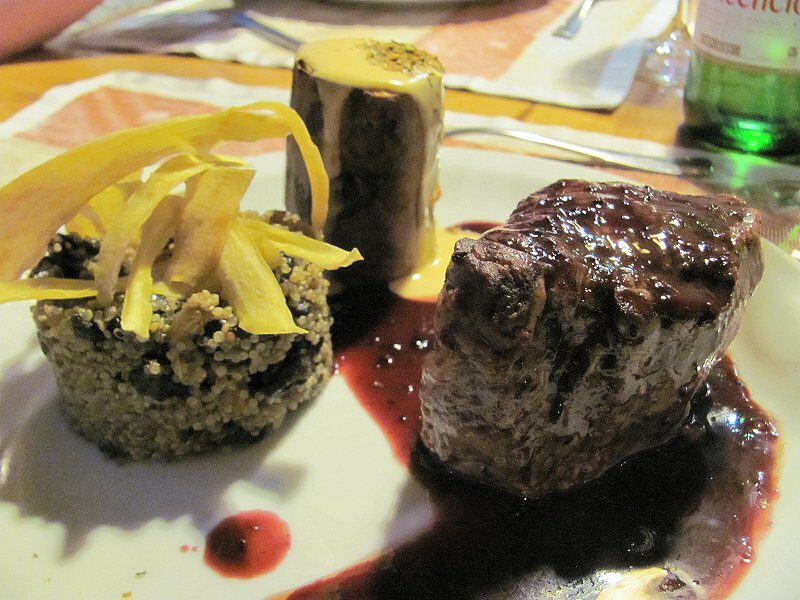 Here, I enjoyed a beef tenderloin with cassis and malbec sauce with ragout of quinoa and mushrooms and served with sweet potatoes. 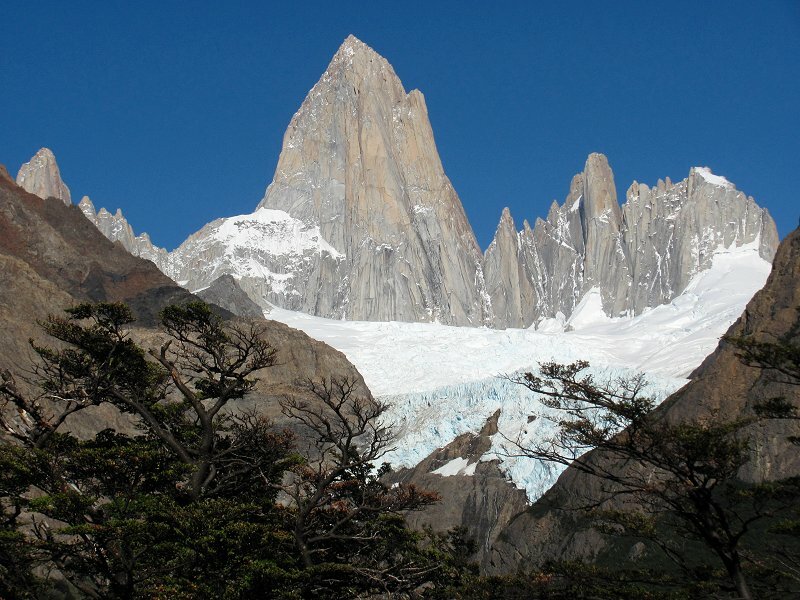 The presentation was a nod to the surrounding landscape--the tower of sweet potatoes mimics the form of Cerro Torre! Fabuloso! 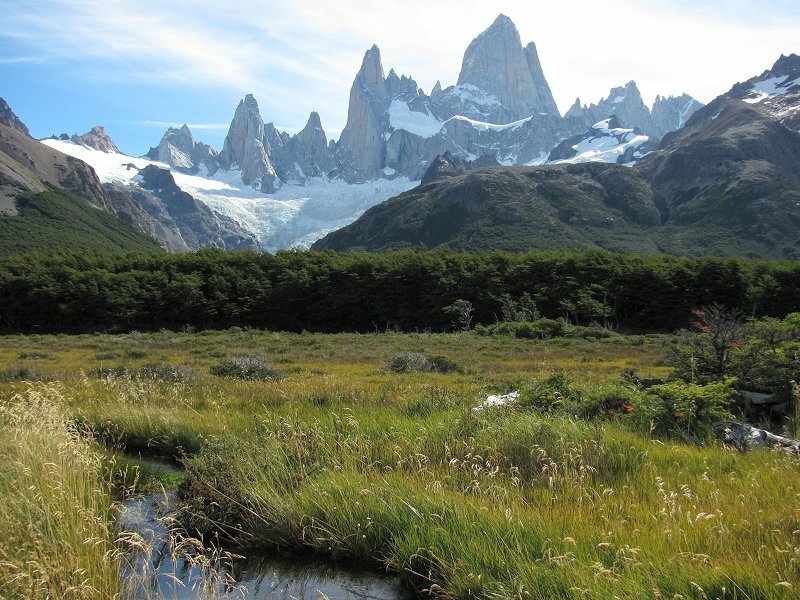 Late afternoon light on the Fitzroy massif as seen across one of the many wetlands (humedales) near Campamento Poincenot. 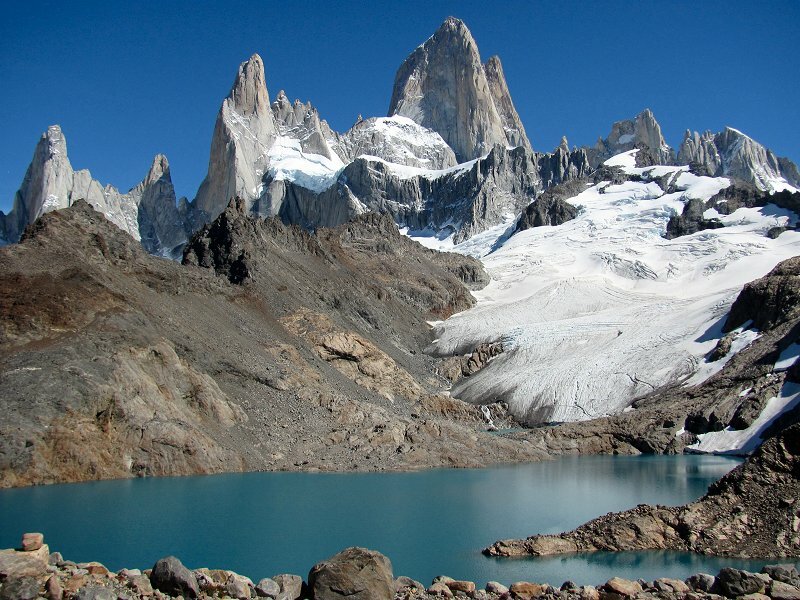 Perhaps the single most stunning sight in Patagonia is the view of the Fitzroy massif from Laguna de los Tres. We were blessed with fine weather...a one in a million day! 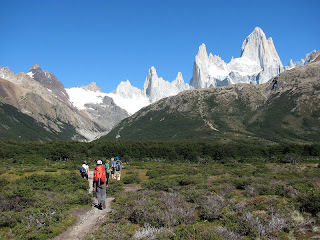 Here is our group approaching the Campamento Poincenot. The Fitzroy massif dominates the view! 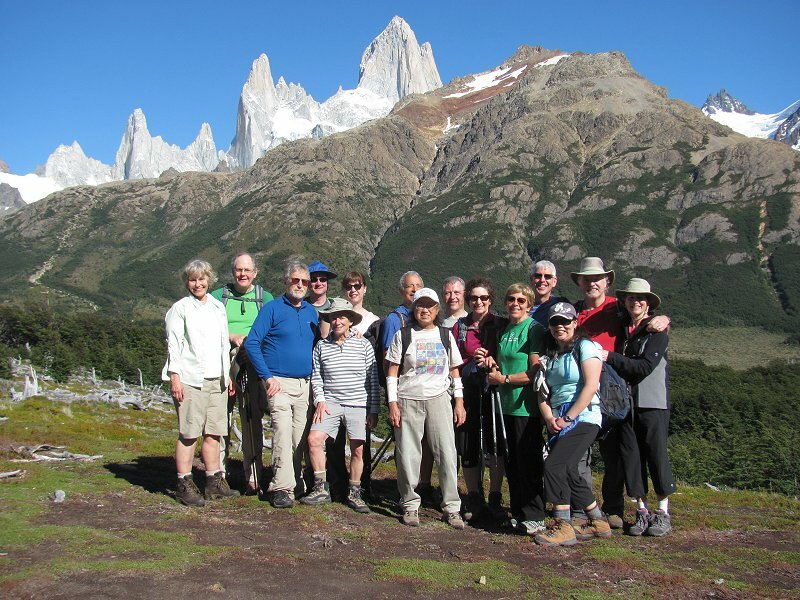 With most of the ascent up the Rio Blanco behind us, our group pauses for a photo in front of the spectacular Fitzroy massif. The spire of Monte Fitzrroy rising above the Piedras Blancas Glacier as seen from the trail ascending the Rio Blanco. We started today's hike from El Pilar, north of El Chalten. We will walk back to El Chalten from this point, some of us via the Laguna de los Tres. 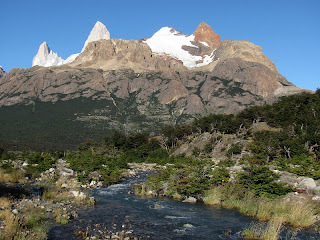 Here is a view at the start of the hike: from left to right, the peaks of Poincenot, Fitzroy and Electrico rise above the Rio Blanco ("White River").